In the penultimate event before the U.S. Open, the Tour will stop in Memphis, Tennessee for the FedEx St. Jude Classic. As of next year this event will have a change in schedule, moving to a late summer slot, following the Open Championship and will be promoted to a WGC event at the same time. The field features some big names this week, as some look to this as their final tune-up before next week’s U.S. Open. Phil Mickelson who has not finished outside the top-12 here in his last five starts, will be looking to keep up the momentum which has seen him find a win and six top-6 finishes in total this season, as he continues his quest for the Grand Slam. The U.S. Open has always cruelly evaded Mickelson’s grasp and he will look to put that right as in a season where he has most definitely been rolling back the years. Alongside Mickelson will be World No.2 Dustin Johnson, reigning U.S. Open champion, Brooks Koepka and World No.15, Henrik Stenson giving the event four of the world’s top-20. This a typical Par 70 where playing well on the Par 4’s will be key, so like last week Par 4 Scoring will be the key stat. Hitting plenty of greens is a vital prerequisite to scoring around the Par 4’s, and when you do miss any, which given the small nature of the greens is very likely, you best bring your scrambling boots as getting up and down regularly can really save rounds here. Daniel Berger won here last year when defending his first PGA Tour title, becoming the fourth back-to-back winner of this event, and sixth multiple winner here overall. It is clear then that this event has very much been a horses-for-courses type course, at least in the past and Berger was a recent example of that last year. Debutants however have a strong recent record here, with four of the last seven winners here doing so at the first time of asking, so a newcomer should not be out of the question around this layout. Berger will be going for a three-peat, something last achieved by Steve Stricker at the John Deere Classic from 2009-2011. TPC Southwind features small and fast Bermuda surfaces, so knowledge and a preference of this surface will certainly increase a players’ chances of winning also. Looking at form around the shorter tracks on the PGA Schedule will be useful pointers, so take stock of how players have fared at the OHL Classic, RSM Classic and Sony Open. Harris English is a winner both here and at the OHL Classic, as is Brian Gay, whilst a whole host of other players who have played well here have shown up either in Mexico or one of the other courses mentioned. When distance is negated, those who are excelling in the ball-striking department, or are just comfortable scoring on Par-4’s will often feature and that is why similar players show up on the shorter tracks and Par-70’s in general. Here are how the last ten winners have ranked in Par 4 Scoring, Greens in Regulation, Scrambling and SG: Putting the week they won here. Instead of excelling on the Par 4’s Daniel Berger (2017) and Justin Leonard (2008) both got the job done elsewhere, with Berger ranking 3rd on the Par 5’s and 8th on the Par 3’s, whilst Leonard led the field in Par-3 scoring and ranked 9th on the Par-5’s, but Par-4 Scoring otherwise has clearly been the best indicator. Berger and Leonard also confirmed you can overcome an average putting week if you hit enough greens, as did Dustin Johnson in 2012. 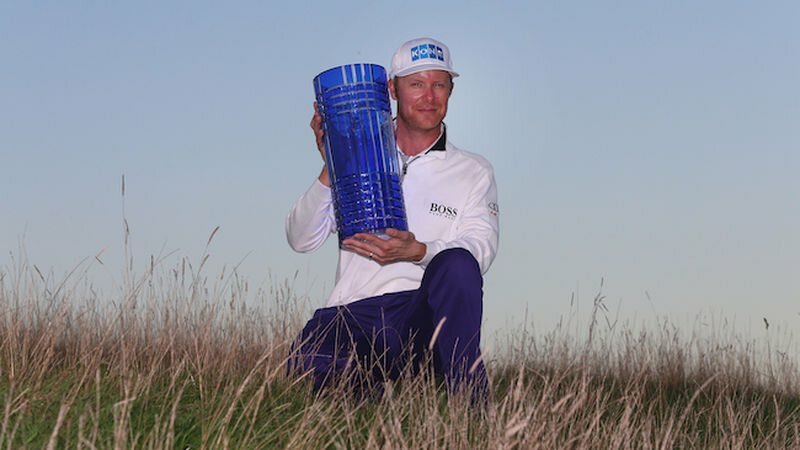 Ben Crane was the only player to rank outside the top-19 for GIR the week he won, but as we have come to expect from him, excelled on and around the greens. Generally, you don’t have to put in the total performance here, and can especially get over the line with an average short-game, as long as you still get the ball in the hole at a better rate than most in the intermediate holes. Berger’s figures from last year were nowhere near as impressive as they were first time around, and I’d expect the winner this time around to match his 2016 performance statistically as opposed to last year. Since pairing with compatriot Louis Oosthuizen at the Zurich Classic, Schwartzel has looked a different player than he has for the past few months, and is starting to look like the man who has won a Green jacket and several other titles. The South African is a prolific winner on the European Tour, largely when in his home country but has further validated his success, with the 2001 Masters victory and 2016 Valspar Championship title. He has also finished T12 or better in each major, so he clearly is an elite talent, even if he has the tendency to go off the boil at any given time. As he looks to prepare for his 12th U.S. Open, Schwartzel will be teeing up here in Memphis where he finished a tie for 2nd last year on his course debut. Twelve months on he can use the knowledge garnered from that effort last year and turn it into his 3rd PGA Tour victory. He did miss the cut at the Memorial last week but bounced back from an opening round 77 with a second round 69 and hopefully that will be enough to reset and go again here. A T9 finish at Quail Hollow followed by a T2 at Sawgrass shows his playing well enough to trump this field, even if the missed cut last week is a slight negative. At 28/1 he looks a decent price given his ability level as he certainly makes a case for being amongst the most talented in the field this week. An event which revolves around strong ball-striking and doesn’t necessarily require the best putting week… Step forward Keegan Bradley. Bradley is amongst the elite tee-to-green, especially over the last couple of years, but his putting leaves plenty to be desired. Despite his struggles on the green though, Bradley has still managed to muster up three top-7 finishes and missed just two cuts. A 7th place finish at the Players Championship is the most recent reminder of just how good he can be, backing up his 2nd place finish at the CIMB Classic and 5th place finish at Torrey Pines earlier in the season. Bradley ranked 22nd in the field in SG: Putting at the Players Championship, and if he can do the same this week, the rest of his game should be able to carry him to a win. Of course it is difficult to predict a good putting week for Keegan, who ranks 201st out of 206 players in SG: Putting this season, but I am willing to chance he can recreate his efforts at Sawgrass, which may well be enough to get the job done here. It’s worth remembering that Keegan is not only a winner on Tour but a major champion and impressive Ryder Cup debutant, so there is no reason not to think his game cannot return to its best, especially if he can find a long-term fix for his putting woes. Bradley impressed on his debut here in 2011, shooting 67-67 on Thursday and Friday, but a 70-74 weekend saw him fall to a tie for 25th. Should he find any sort of putting stroke this week, there is no reason he cannot find scores of 67 and better on a course that really should suit him to a tee. With three 5th places finishes to his name on the PGA Tour this season, including two in his last three starts, it appears Peter Uihlein has found another level once again and is now ready to win on his home Tour. Like Brooks Koepka, Uihlein went to Europe to hone his game on the Challenge and European Tour’s but it has always been clear the PGA Tour has been his long-term plan. A winner on the Challenge Tour, European Tour and most recently the Web.com Tour, Uihlein has certainly served his apprenticeship and is clearly ready to win at this level. His 5th place finishes on the PGA Tour this season, including the WGC HSBC Champions are his best efforts on the PGA Tour to date, but top-5 finishes at the Wells Fargo and last week at the Memorial are also not to be sniffed at, and I truly believe he is more than capable of winning here this week. He missed the third-round cut on his debut last year but opened with a round of 68 and looks much better prepared to contend this time around. Uihlein ranks 34th on the season in Greens in Regulation, and ranked 12th and 22nd in that department when top-5 at the Memorial and Wells Fargo respectively so should be able to hit the required amount of greens this week. The next logical step for Uihlein is to win an event of this calibre, as he looks to fulfil the potential which may allow him to go on and contend for multiple wins and make waves in major championships. 40/1 in this field looks generous enough, and I am happy to chance that this is the scene of his first PGA Tour win, given his recent run of form. I can hear the dulcet tones of LL Cool J in the background shouting “Don’t call it a comeback”, however Harris English certainly seems to be returning to the form that saw him touted as one of the better young players on the PGA Tour back in 2012. In his rookie year, English made 22/27 cuts and followed that up with a two-win season in 2013. The first of those wins came here at TPC Southwind and the other at the OHL Classic of Mayakoba, so it is clear what sort of track he preferred when in winning form. Since his two-win season it has hardly been plain sailing for English, but a play-off loss at the Farmers Insurance Open in 2015 was another reminder of his talent when he pieces it together and this season he is certainly finding form again. His best finish of the season came at the Corales Puntacana Resort & Club Championship when finishing T5, but he’s also put in impressive performances at the Farmers Insurance Open (T8) and CareerBuilder Challenge (T11) as well as decent finishes at the Arnold Palmer Invitational (T22) and the Fort Worth Invitational (T20) more recently as well. With this solid bank of season-long form behind him, he looks a great prospect to perform well at a course he’s not only won at, but shown further liking for since. He missed the cut in 2014, but since then has finished 45th, 26th and most recently 10th twelve months ago. He would certainly need to find more greens than he has over the course of the season, but he has performed well at the courses he’s liked in the past which is a good sign when returning here to TPC Southwind. At 80/1 he looks every bit worth chancing, considering a win and a 10th here in recent years around this track. Joel Dahmen has been on my radar of late, and I think it is finally time to bite the bullet on a seemingly improving talent. Dahmen has finished inside the top-20 in his last three starts, and now has four in his last six starts in total. Like English his best finish came in the weak field at the Corales Puntacana event (T13) but it is his consistency that gives plenty of reason for optimism. It looks as though he is trending in a great direction and a finish of T23 at the OHL Classic as well as an opening round 64 at the RSM Classic are just additional bonuses. Dahmen made his debut in this event last year, when in his first season on the PGA Tour and finished a very respectable T18. He shot par of better on each of the four days and was actually only five shots behind eventual winner, Berger. A second round 66 here last year certainly suggests Dahmen can go low here, so if he can turn those bookend rounds of 70 from last year into 67’s or 68’s he has every chance of contending seriously for the first time. With some of the field having half an eye on the U.S. Open next week, Dahmen may well be in line for his career-best finish on the PGA Tour, eclipsing his T9 finish at the Byron Nelson last season. No one would begrudge Dahmen a win on the PGA Tour, given all he and his family have been through over the years, and he has done extremely well to get to the level he’s at right now. If you are not familiar with Dahmen’s story I strongly urge you to check out the video below.